I went to my parents church on sunday, as they were being honored. Much to my surprise I spotted this little palm growing next to the church. No protection other than on a south facing wall. I suspect it will die before spring gets here, that is usually how it goes. Looks like a roebellini, but I did not notice any spines tell me what y'all think. A trooper for sure! I am not too sure but the leaves look like roebellini. Definitely a Phoenix for sure. 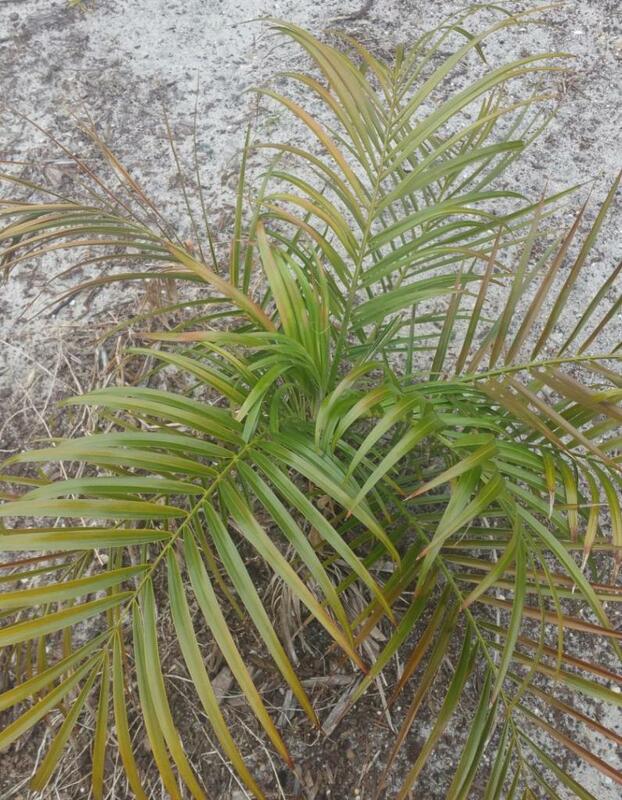 I wouldn't be surprised if this palm makes it through this fortunately mild winter we are getting. Let's just keep our fingers crossed that this weather will continue. Cat Palm? Hard to tell from the picture. Is it single trunked?